In the ongoing effort to deliver the best possible search results, Google has recently rolled out a new mobile update affecting content with interstitials. Also referred to as popups, interstitials are essentially displays that obscure the content on a page. These popups can feature anything from ads and opt-in requests to disclaimers and chat boxes. Are scrolling through a page of content on a site. Regardless of when, during the user experience, an interstitial appears, these popups – especially on mobile devices that have limited screen space – can significantly degrade the user experience. That’s why Google has just rolled out a new penalty targeted at mobile sites that use intrusive interstitials. To clarify the nature and potential impacts of Google’s latest update for mobile sites, below, we have answered some common questions about the 2017 Google popup penalty. While our answers provide important information to help site owners maintain good rankings, don’t hesitate to contact the Internet and attorney marketing pros at Epic Web Results when you need more answers – or when it’s time to improve your mobile (or standard) website. Q – What types of mobile popups will Google penalize? 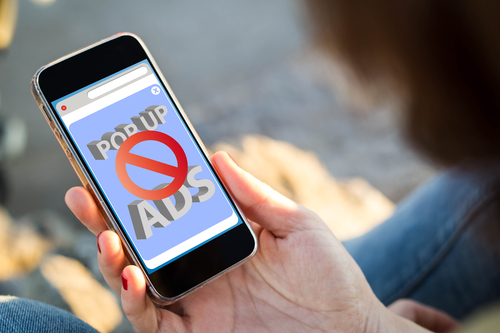 A – Any mobile popup that prevents an user from easily and readily accessing the content (s)he’s looking for can be subject to the new Google penalty. Push the content below the fold (so the popup is the only element featured above the fold). The interruption that these intrusive popups cause in the user experience is the real issue Google has with them. That’s because Google’s number 1 philosophy is to “focus on the user” and provide the best possible user experience. Q – Will all mobile sites with popups or interstitials be penalized? There are acceptable and “responsible” ways to use interstitials. Mobile sites that comply with Google’s guidelines for properly using popups won’t be penalized. Easily dismissed and only consumes “a reasonable amount of screen space” (like, for example, an “app install” banner just featured at the top or bottom of page, rather than squarely over the content on a page). Q – What kind of penalty will Google impose for intrusive interstitials? A – Mobile sites that continue to feature or use intrusive popups can be penalized by Google via falling rankings. In other words, Google may give lower rankings to mobile sites with these popups. It’s important to note, however, that many factors are used to rank mobile content and sites (as well as desktop sites and their content). Interstitials are “just one of hundreds of signals that are used in ranking,” as Google has noted. Q – What can I do now to avoid being penalized? A – If your mobile site uses intrusive popups, replacing these with acceptable interstitials (that don’t degrade the user experience) will be essential to avoiding penalties and falling rankings. Get a better ROI from your mobile site (in the form of more traffic, more conversions and more new leads for your business). The Internet & attorney marketing professionals at Epic Web Results are ready to perform a free audit on your mobile site to identify opportunities for improvement – and to help you (and your firm) get better results! When you’re ready to make your site(s) and the web work better for you, it’s time to contact the professionals at Epic Web Results. We are up to date with the latest advances in Internet marketing and SEO best practices, and we are highly adept at developing custom attorney marketing solutions to launch firm’s sites to the top of search engines (and to keep them there). To learn more about our customized, innovative Internet marketing solutions, contact Epic Web Results by calling (303) 515-7191 or by emailing us using the contact form on this page.